Kite flying's a fun activity for the entire family. It's relatively cheap to get started, and you don't need any skills. For this trial, I dug up an old kite I had purchased a couple of years back. It was purchased at a National Trust gift shop while visiting one of their parks. I stood there and tugged on the line a few times. If I'm honest, I was a bit bored! I needed to do more. It just wasn't interactive, or challenging in any way. When I got home I began work on my own DIY kite. When I told my wife that I'd be making a kite she couldn't help but get involved. The idea was to use normal household items that anyone could get hold of. We decided to make our own kites, and it turned into a bit of a competition. Mine is on the left. I based mine on the more traditional diamond shape, crossing 2 sticks to make the frame. My wife took inspiration from the kite we bought a few years ago. We took our homemade DIY kites back to the hill. And it was a disaster! Neither flew. My kite broke at the spine, while my wife's kite was a complete non-starter. After the disappointment, we were desperate to see something take flight, so we decided to tie a string onto a plastic bag. It flew a little, but wouldn't climb very high. Undeterred, my wife vowed to redesign her kite. I heard montage music coming from the conservatory. Lights and flashes burst through the house. I went to check everything was OK and saw it there, sitting on the table. I looked up at my wife and nodded. She wiped the sweat from her brow and nodded back. It was done. We walked in silence, back to the hilltop. Still unsure if time would reveal what we thought to be true. As we untangled the strings in preparation for flight, it caught a breeze. Right there, before our eyes, it hovered in the wind. As the line was released, so did it climb. Finally, at the full length of the line, it was held back. Never to know how far it could have gone. Flying your own DIY kite makes the whole kite flying experience much more enjoyable. -Especially when you've already experienced failure. It felt like we were flying the first plane, conquering the air, taking humanity forward! We must have spent 30 minutes flying the kite, and only stopped because we had other things to do. Flying a normal store purchased kite is fun, but making a kite and then flying it, is amazing. It's a real challenge which requires brain power to overcome. When you fail it stings, but when you succeed, it's exhilarating. 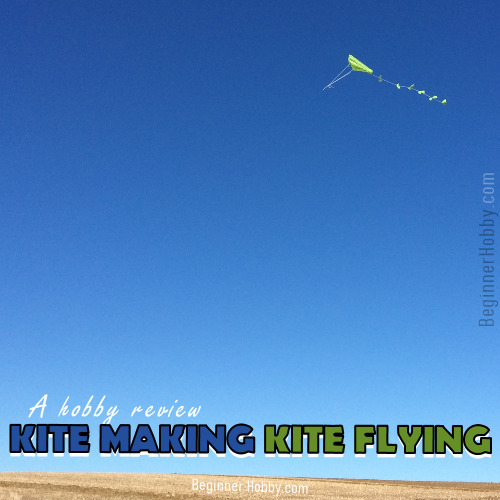 DIY kite making, and flying, would make a fantastic hobby for anyone. 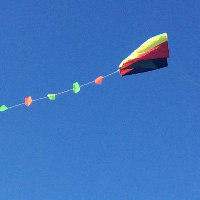 Don't forget to check out our free DIY kite design - It really does fly!